Black Eyed Susan Seeds (Rudbeckia hirta) 6865. No wildflower garden is complete without some Black Eyed Susan somewhere in the border. This robust perennial will turn heads wherever planted and withstand more heat and drought than most. This favourite blooms from July through to September and is an Ontario native plant. Golden yellow blooms with dark centre. 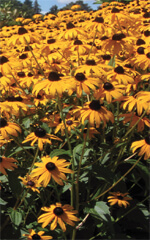 Easy to grow, adaptable to most soils, trouble free and tolerant of heat and drought. Blooms well in full sun or light shade. Height 60-90 cm (2-3′). Avoid high fertility and irrigate only when absolutely necessary. Hardy to Zone 3. 3700 seed/gram. This robust perennial will turn heads wherever planted and withstand more heat and drought than most. 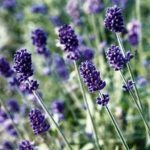 It is highly recommended to sow this type outdoors from September through October – select a site in full sun. This fall sowing allows any dormant seed to be naturally stratified over the winter. Seed can be started indoors in a soil-less mix from February to the beginning of March. Germinates at 20 C (70 F) in 14 to 21 days. Grow on under lights at a slightly cooler temperature before hardening off and transplanting outdoors to a sunny spot.